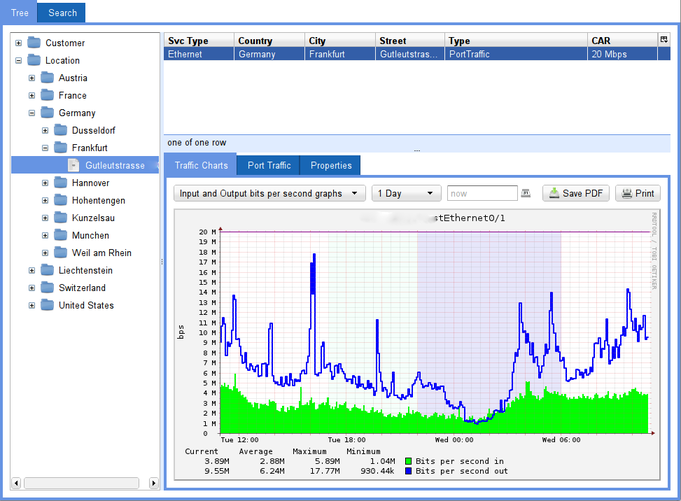 Extopus is an aggregating frontend to monitoring systems. Its plug-in architecture provides an easy route to integrating output from a wide array of monitoring systems into a single instance of Extopus. Integration can range from simple iframe-ing a particular page from another monitoring system to accessing data from another system using rpc calls and displaying the results in a custom presentation plugin inside the Extopus frontend. Whether you have a small setup with a few hundred or a large one with millions of items, Extopus will provide a user friendly interface to accessing your monitoring data. Work has started on making SmokePing and Extopus work together. This work has been commissioned by CatchPoint. SmokePing version 3 will use Extopus as its front end and focus its own activity on organizing the data acquisition. SmokePing 3 development is happening on GitHub. Integrating (probably at a later stage) collectd and Nagios. If Extopus looks interesting to you and you would like to contract us for custom integration work or provide sponsoring, please be in touch. There is no official release of Extopus yet, but we develop in the open, so come visit our Git Hub repository. To get your own copy, run "git clone git://github.com/oetiker/extopus.git".